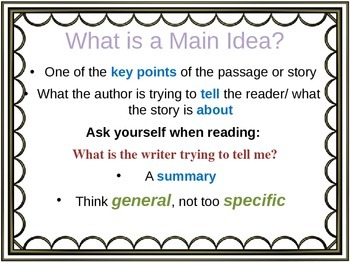 Present this PowerPoint to your students to help them to take out key words and phrases from a text in order to find main ideas and effectively summarize. 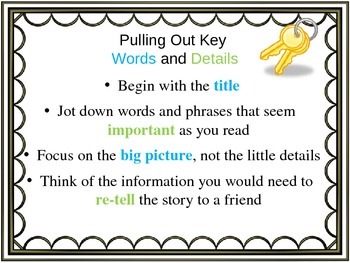 Teach students to break it down to just the important stuff with this awesome PowerPoint. This is great for both primary grades and secondary grades. It is simple and colorful with fun animations to keep students engaged. It also features a practice model at the end.